It was a busy day at work, my co-workers and I were wrecking our heads out to answer support tickets from clients. To say that we needed some breath of fresh air was an understatement. As if he was hearing our pleas, our good natured boss blurted out the sweetest magic words we ever heard that day. I can tell that my boss was just appreciative of our team effort in delivering satisfactory customer service to his clients. He offered free pizza for that day if we finished all the support tickets before we logged out of work. FREE PIZZA. This repeatedly rang on my head all throughout the day as I rummaged through the bunch of tickets/emails of about a hundred. It's not that I can't afford to buy pizza for myself, but there's something with the word free that gives me the motivation to aim for it. 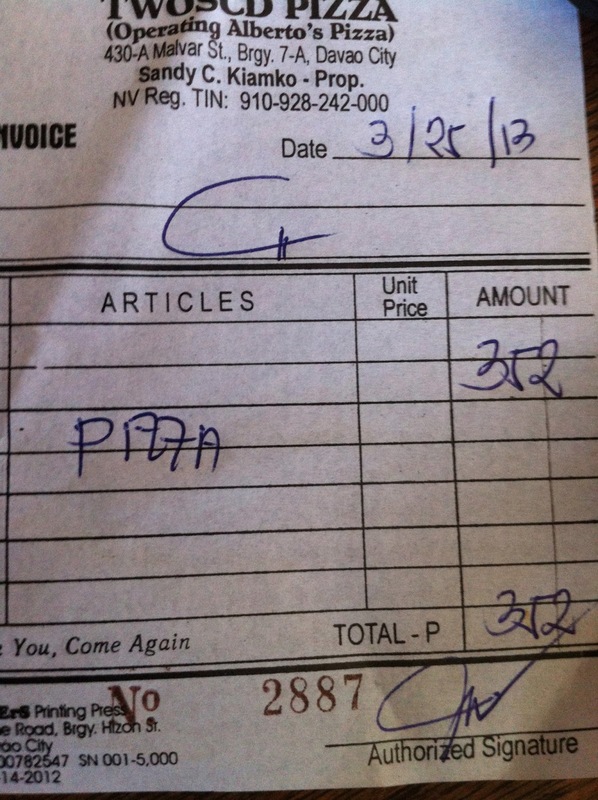 We were given a budget to buy our own choice of pizza and the cost will just be reimbursed back to our Paypal accounts. Sweet, isn't it? 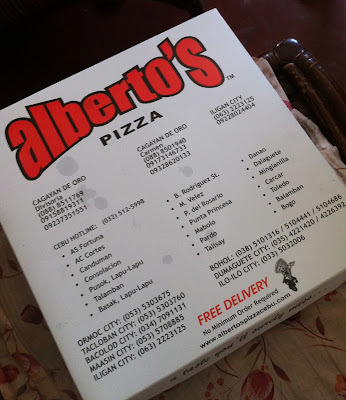 The following day, knowing I finished my tasks on time the day before, I excitedly called Alberto's Delivery for my pizza fix. So here it goes, I ordered 2 boxes, the Shawarma and Cheese Burger flavors plus a large bottle of soda for me and my kids' lunch. Boy, they were ecstatic too! The pizza ( taste + fast and free delivery service, I got my order in less than 30 minutes) was definitely worth more than what I paid for. There are a lot of great tasting flavors to choose from, and boy, don't judge their pizza by the affordable price they have. Theirs are at par with the ones we get to eat in the malls. What's more, they also let you choose between the 9" or 11" diameter size, and the cheese (mozzarella or quickmelt) you want with the toppings, too. 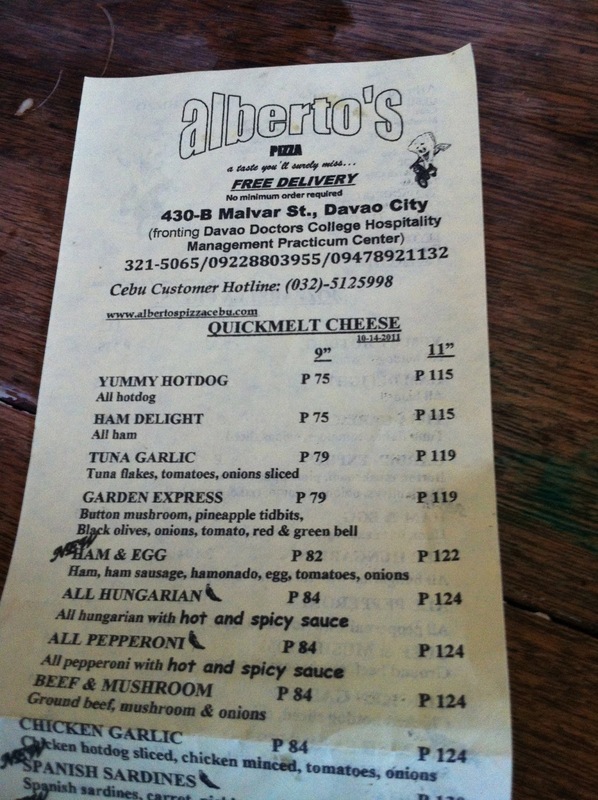 If you want mozzarella cheese on your pizza, just add around 50 pesos or less. They are all over Visayas and Mindanao! 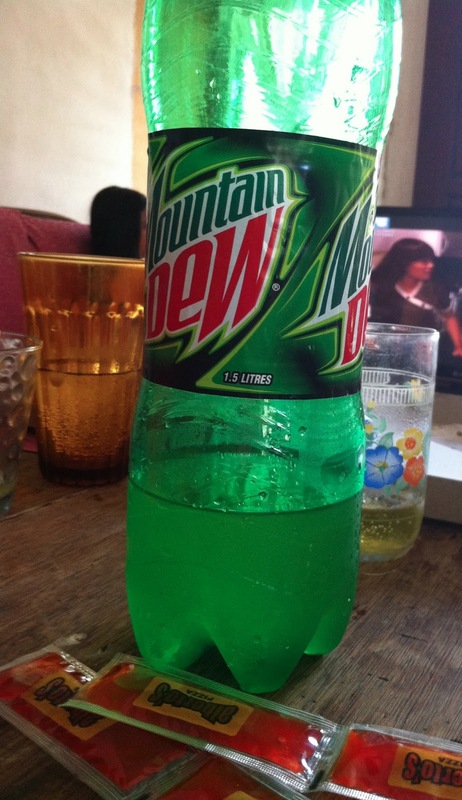 Pizza is best eaten with this! Yum yum! It has a lot of toppings! Why oh why the pizza we ordered last week was not as many as this toppings. That shawarma pizza looks very appealing! Nothing can beat of a hard work being rewarded! now that looks like healthy toppings...my family and I love pizza! Looks like a healthy and yummy treat. I'm a pizza lover too. I can't get enough of the veggies and meat topped on a crispy crust. you've got a bargain here 252 pesos lang. 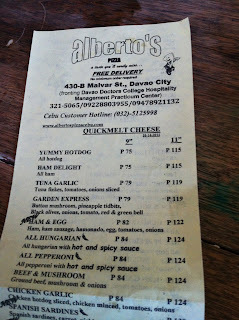 got to find Alberto's if there's one in our place. Wifey simply loves cheese-flavored pizza.